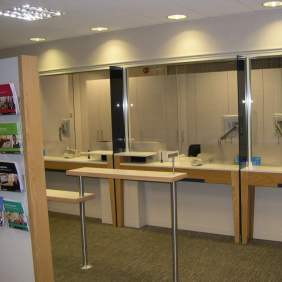 We have completed the refurbishment of the Banking Hall and Staff Areas at the Nat West Bank branch in Upminster, Essex. The work had to be completed before the Christmas break and normal banking business had to continue during this busy period. We carried out the refurbishment work over a 4 week period after the bank closed in the evenings ensuring that there was minimum disruption to both public and staff areas. The Branch Manager commented that the job progressed really well and described the completed works as a “job well done”. She acknowledged the difficulties of carrying out refurbishment work around their normal banking activity which we successfully overcame. Our experience of managing similar works in occupied areas enabled this programme to be completed smoothly and to the Client’s obvious satisfaction.